Cannabidiol (CBD) is a chemical compound that is present in hemp, a close relative of marijuana. It is nonpsychoactive—meaning, it doesn’t make people feel stoned. CBD is also known to have various medical benefits that can help relieve patients from pain, inflammation, anxiety, lethargy, and other conditions. When taken, CBD allows a person to feel relaxed without the intoxication. CBD is notably different from other cannabinoids, or chemicals which are found in hemp and cannabis. While all other cannabinoids interact with two significant receptors in the nervous system, CB1 and CB2, CBD has very little effect on both of them. CB1 receptors are found in different parts of the brain, including those concerned with emotion, sensory perception, memory, and cognition. CBD does not induce a mind-altering state. Tetrahydrocannabinol (THC), on the other hand, is another story. It is the chemical responsible for majority of cannabis’s psychological effects, sending you on a cerebral adventure. It is found mainly in the resin secreted by the glands of the marijuana plant. THC attaches itself to both CB1 and CB2 receptors. This activates them and affects a person’s thinking, perception, memory, pleasure, and concentration, making the person feel high. CBD may also moderate the effects of THC. While some people report anxiety from consuming marijuana, strains which are high in CBD tend to cause less of these effects. CBD itself may be beneficial in the treatment of anxiety. 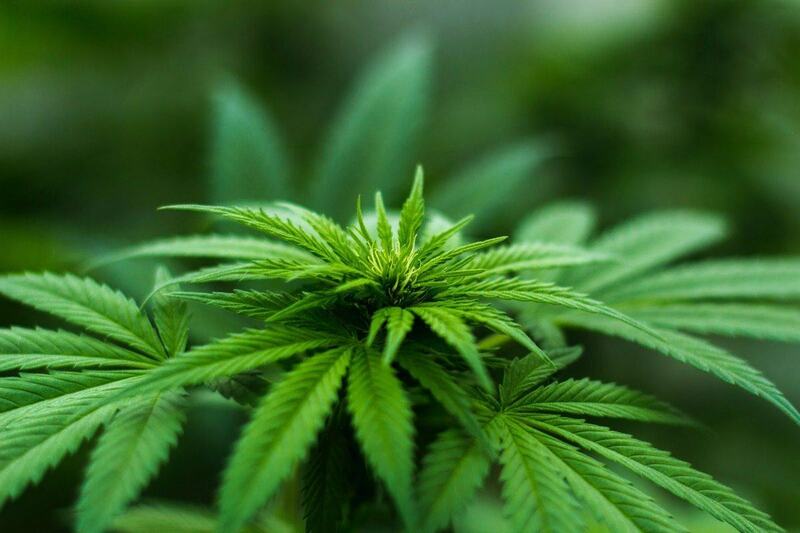 CBD is known to have several medicinal properties, but because the field of marijuana studies is fairly young, more research is needed to explore the properties of marijuana’s compounds. Here are some of the possible medical benefits of CBD. More research is needed to determine whether CBD can effectively be used to treat all these conditions. CBD could be useful when treating neurological diseases because it protects neurons from degeneration. In a study about Alzheimer’s, CBD was seen to hinder and the development of Alzheimer’s symptoms. CBD has proven itself useful in suppressing pain. It is able to inhibit neuronal transmission without causing analgesic tolerance. Because of this, researchers suggest that CBD and other nonpsychoactive components can be used as a foundation to the treatment of chronic pain. Studies have shown that very high doses of CBD no toxic effects in humans and that it might be used to inhibit the growth of cancer cells due to its antitumor properties. This could even help treat leukemia and similar diseases. CBD has been shown to reduce anxiety in patients. Researchers have also suggested that it can be used on patients with a variety of related conditions including Post Traumatic Stress Disorder. In a 2011 study, a test was administered to 24 patients with social anxiety disorder. 1.5 hours before the test, the patients were given CBD or placebo. 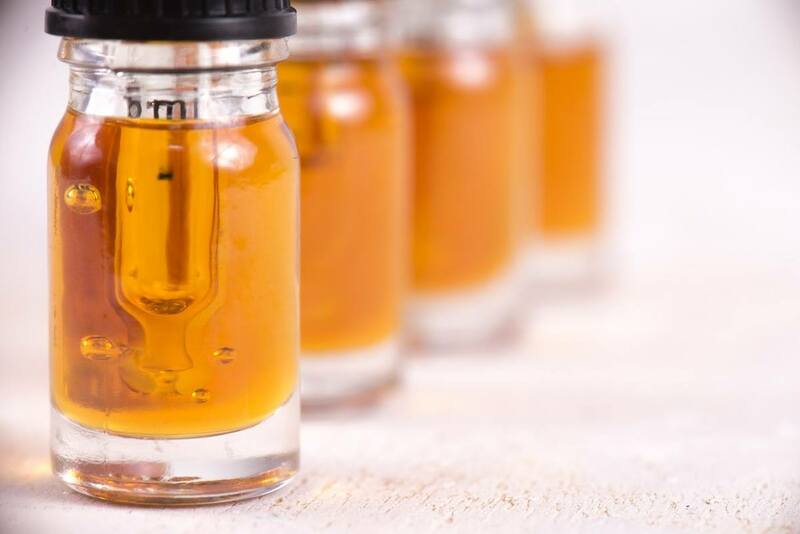 It was found out that the anxiety, cognitive impairment, and discomfort in patients who were pretreated with CBD had significantly reduced, compared to those in the placebo group. CBD produces effects through various molecular pathways. Although CBD does not really bind with two of the cannabinoid receptors, CB1 and CB2, it acts through several different receptor-independent channels. CBD enhances and inhibits the binding action of certain protein-coupled receptors. Listed below are some of the receptor systems and their relationship with CBD. CBD targets a specific serotonin receptor, the serotonin 1A receptor. Its affinity with this receptor is associated with a lot of CBD’s therapeutic properties. Take note that serotonin receptors regulate the release of hormones like cortisol, which is responsible for metabolism and reactions to stress, and oxytocin, which affects social behavior. Serotonin receptors also affect a person’s mood, cognition, and appetite. Enhancing the activation of serotonin 1A receptors supports the theory of how CBD impedes certain problems and disorders such as neuropathic pain, anxiety, depression, schizophrenia, and nausea from chemotherapy. CBD binds to TRPV1 receptors, which are also called vanilloid receptors, to achieve a therapeutic effect. As an ion channel, TRPV1 plays a role in thermoregulation (temperature regulation), inflammation, and the perception of pain. GPR55 is called the orphan receptor because researchers are still not sure if it belongs to a larger receptor family tree. It is involved in the process of modulating blood pressure, bone reabsorption, and bone density.When it is overactive, GPR55 may cause osteoporosis. GPR55 also contributes to the multiplication and migration of cancer cells. CBD blocks GPR55 signaling. This could affect the likelihood of cancer cells proliferating under the right conditions. Peroxisome proliferator activated receptors (PPARs), also known as “nuclear receptors,” are activated by CBDs to produce an anticancer effect. They are found on the surface of the cell’s nucleus. When activating a receptor known as PPAR-gamma, an antiproliferative effect begins. Its activation also causes tumors to regress in lung cancer cell lines. According to a study, CBD in the brain inhibits anandamide reuptake and breakdown, which increases endocannabinoid levels in the brain’s synapses. Anandamide is an extremely powerful, cannabis-like chemical in the brain. This, in turn, has neuroprotective effects against seizures and other problems. Since it is a plant compound, CBD has to pass through the cell membrane to get inside a human cell and bind with a nuclear receptor. It does this by attaching itself with a fatty acid binding protein (FABP), which takes it into the cell’s interior. The same intracellular molecules also transport THC and the brain’s cannabis-like molecules, the endocannabinoids anandamide and 2AG, to different parts inside the cell. CBD has a strong attraction to three kinds of FABPs. This causes CBD to compete with endocannabinoids. Once endocannabinoids are inside the cell, anandamide is broken down by fatty acid amide hydrolase, a metabolic enzyme. CBD interferes with endocannabinoids’ process by reducing anandamide’s access to transport FABP and delaying it from entering the cell. While THC can amplify the anxiety in some people, a study done by Neurotherapeutics suggests that CBD can help lessen the anxiety felt by people with particular anxiety disorder. The neurological effects of CBD could lead to it being used as a supplement to existing treatments like pharmaceutical drugs. A study posted in Epilepsia suggested that CBD is able to treat epilepsy and neuropsychiatric disorders. Since CBD has antiseizure properties, it has a low risk of adverse side effects on people who already have epilepsy. Because of this, there are more and more studies being conducted with the focus to treat many of the disorders linked to epilepsy, such as neuronal injury, neurodegeneration, and psychiatric diseases. Since CBD can help reduce anxiety, this, in turn, can help out with sleep difficulties. It may increase the overall amount spent sleeping by subduing chronic pain and insomnia. At a small dosage, CBD induces wakefulness and reduces daytime sleepiness, but heavy doses taken a few hours before bedtime have a balancing effect that often leads to a good night’s sleep. While most of the studies have put their focus on understanding THC, cannabidiol has been consistently showing great potential with regard to its medical uses. It is important to understand all the properties of cannabis and hemp so that people can use it to help benefit the human body. As they understand this chemical more, scientists may find newer ways to improve human health and healing, without having the fear of the stigma that comes with cannabis.